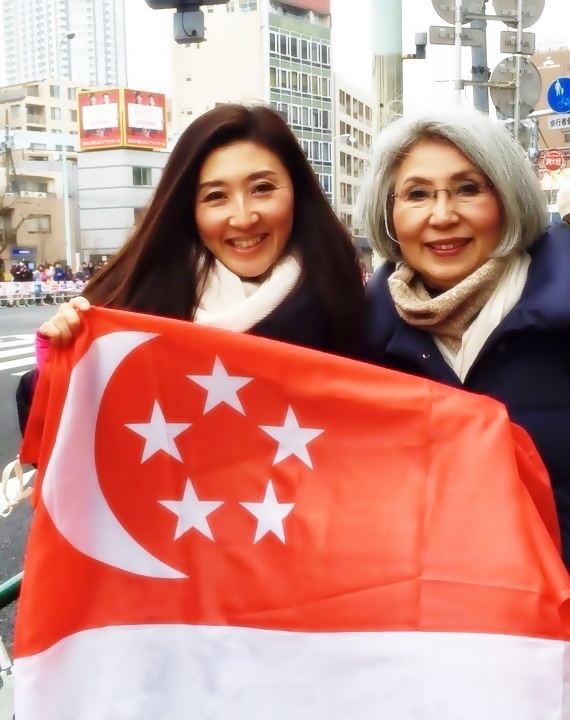 Meet Makiko Nukui – The Host of Tokyo Marathon Singapore Contingent Carbo Loading Dinner | JustRunLah! IF you are heading to the Tokyo Marathon in 2017, the IAAF Gold Label Marathon and one of the six World Marathon Majors, you should not miss the “Carbo Loading Dinner for Singapore Contingent” hosted by John Durkin and Makiko Nukui. Earlier, I had the privilege to interview Makiko when she was in town to support John, her husband who took part in the Standard Chartered Marathon Singapore 2016. “It all started in 2013 when some of our running friends from Singapore came to Japan for the Tokyo Marathon,” explained Makiko. 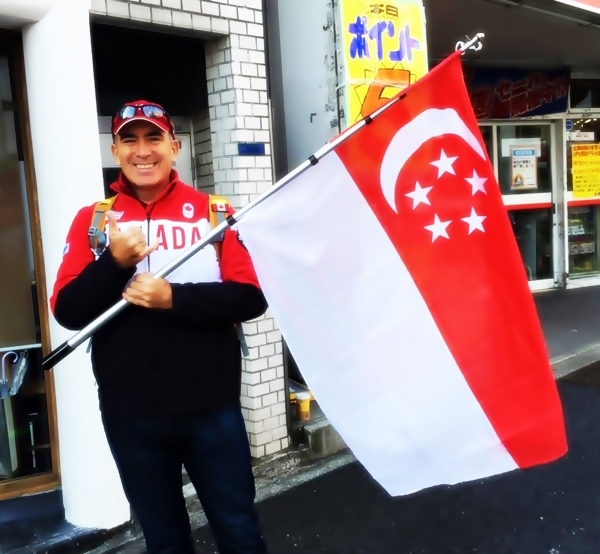 “John and I were so happy to see them, and we cheered for them by the roadside waving the Singapore flag during race day. After which, we welcomed them back at the finish point (Balloon 8) with photo taking. “However, we felt that we could have played a better host. That was when we hatched the idea to host the carbo loading dinner to welcome the Singapore runners, their families and friends the following year. Another distance runner who was present at the dinner party was Luke Low, senior IT engineer. He said: “The hosts were very thoughtful. They provided us with useful accessories such as heat packs and ponchos which could be used on race day. Best of all, everyone got a beautifully designed tee to take home to commemorate our race. 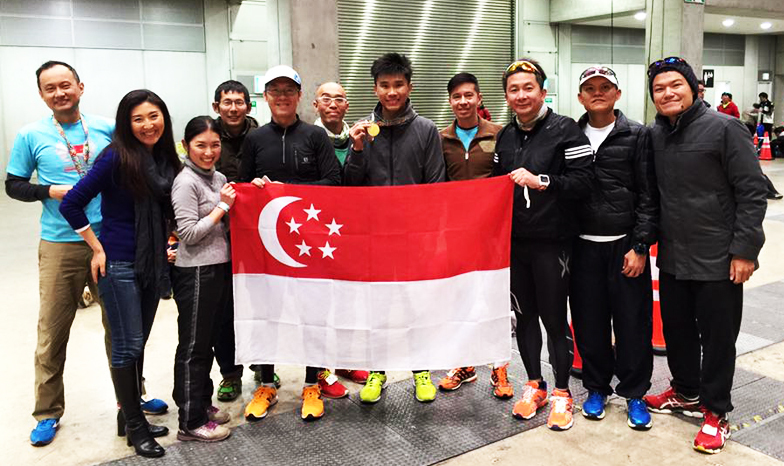 What can Singapore Contingent expect in 2017? “We are planning a cozy buffet dinner for the runners. 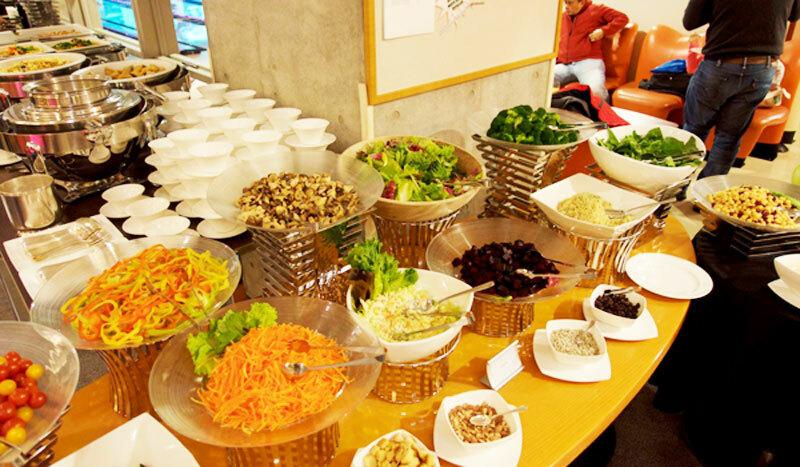 You can expect the food to be nutritiously blended with a taste of Japanese flavor. We reckon the turnout to be around 65 similar to this year. 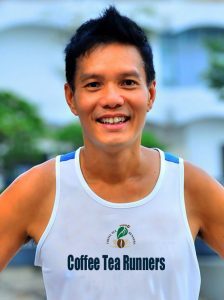 The invitation is open to all Singapore runners, their families, relatives and close friends. So please inform them to bring their appetite!” said the 46 years old, Tokyo-based runner. Can you tell us more about your running background? “I was never a sporty person. I was introduced to running when I was 42 years old,” laughed Makiko. Coming 26 February 2017, Makiko would be making her debut in the Tokyo Marathon. This means that she would not be able to welcome the Singapore contingent at the finish point like what she did in the past 3 years. Said Makiko in her relish voice: “Unbelievably, I have won the lottery to run the Tokyo Marathon 2017. Runners taking part next year can expect a new route, well sort of. The new finish point is said to be located at the Tokyo station. It would be much easier for the finishers to head back to their home and hotel after the race. If this is your first World Marathon Majors, enjoy what this city race has to offer, from the razzle-dazzle race expo to the fantastic crowd support cheering and rooting for you on race day. You may even want to pick up snacks, sushi, some beer or sake along your run. This may probably be one of the best marathon experiences that you would enjoy and remember for a long time. Good luck runners! May the wind be behind your heels. Note: Stay tuned for my 2nd interview (part 2 of 3) with Makiko in February 2017 as she would be sharing about her training preparation leading up to her first marathon.